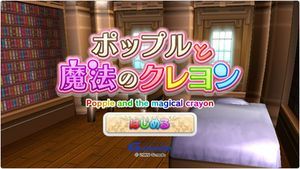 Popple to Mahou no Crayon is a pop-up adventure that reads like a pop-out picture book. Try drawing a picture book with a strange magical crayon and grab items in a picture book, a change will occur in the book and the story will develop. Please do it well and complete the story of the book. The graph below charts the compatibility with Popple to Mahou no Crayon since Dolphin's 2.0 release, listing revisions only where a compatibility change occurred.